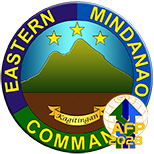 NSFA, Panacan, Davao City – The Eastern Mindanao Command (Eastmincom) welcomes the mass surrender of 64 Communist NPA Terrorist Group (CNTG) regular members and supporters who yielded to the Community Support Team of 36th Infantry Battalion, 4th Infantry “Diamond” Division (ID), Philippine Army on March 22, 2019, as victory of convergence and peace. This was the assessment of Lt. General Felimon T. Santos Jr., Commander of Eastmincom after MGen. 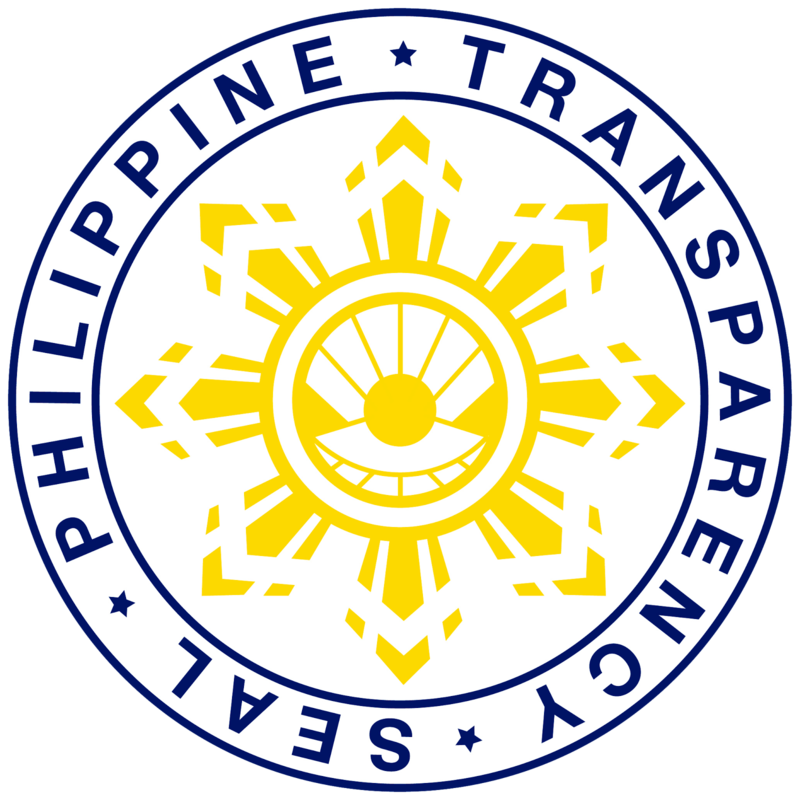 General Franco Nemesio M. Gacal, the Commander of 4ID, in his report attributed the exodus to the relentless combat operations and continuous "peaceful war" of reaching out to the communities, Community Support Programs, and the unwavering assistance of the Local Government Units and Local Government Agencies. "This is the result if stakeholders of peace work together, marching in unison to attain peace in every community. Indeed, this is the victory of convergence and victory of peace," Lt. Gen Santos Jr., said. 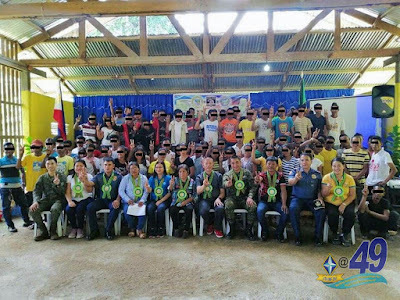 The 27 NPA regular members together with 13 Militia ng Bayan yielded with the help of Barangay Officials of Mampi, Lanuza, Surigao Del Sur (SDS). 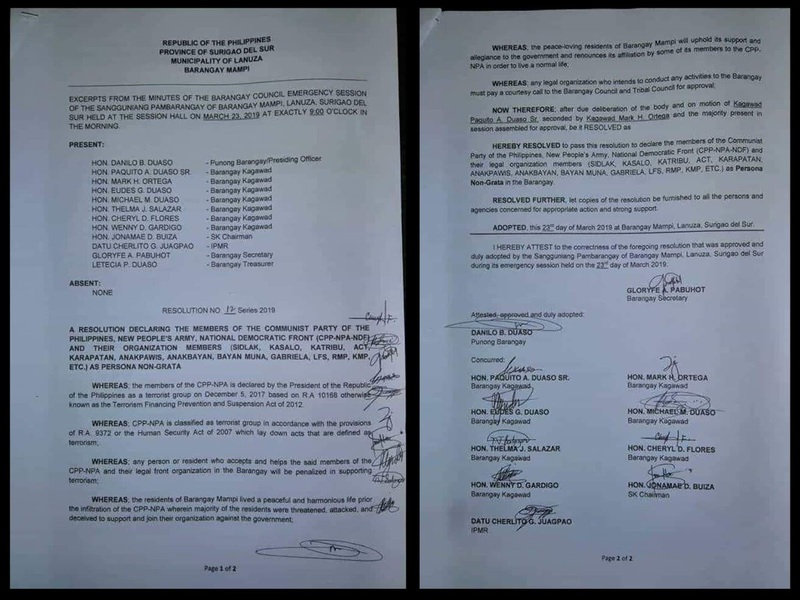 Some twenty-four Supporters or Couriers who are currently residing at Sitio Ibuan of the same barangay also dissociated and denounced their membership and support with the CNTG. These surrenders brought with them assorted medical and dental supplies, cellphones, and other war materials with high informative military value. 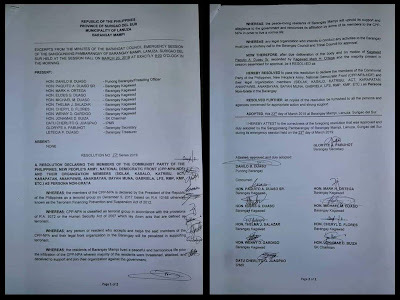 The mass surrender likewise led to the declaration of CNTG as persona non grata by Barangay and Tribal Council of Barangay Mampi, Lanuza, Surigao Del Sur On March 23, 2019. 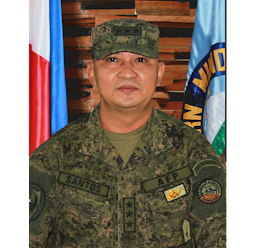 Lt. Gen. Santos Jr. further mentioned that the continuous exodus of surrender is a manifestation that local peace initiatives are effective and calls to continue and sustain the multi and inter-agency efforts to end the conflict. 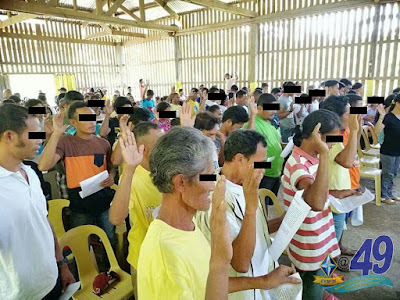 "Let us continue with our multi and inter-agency efforts to end the conflict and bring the much-needed services into the conflict-affected communities that will address the issues of conflict effectively and sustainably," Lt. Gen Santos Jr., said. 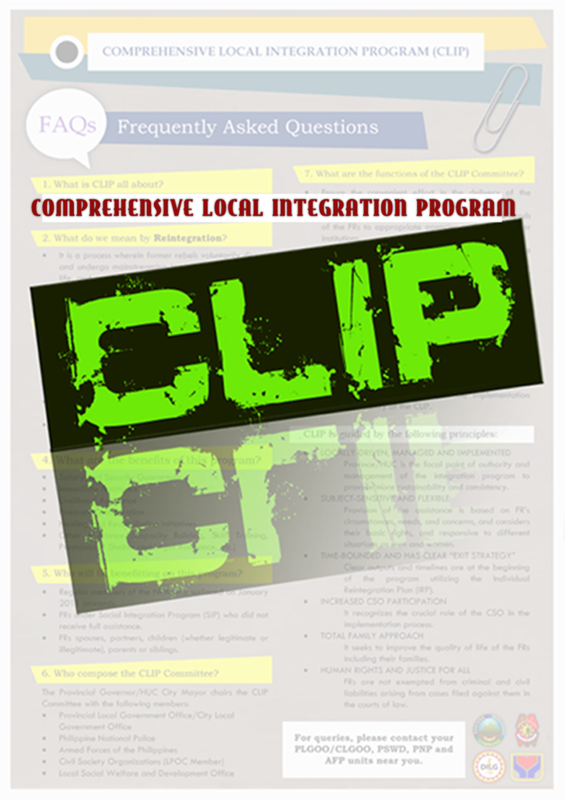 Currently, the Former Rebels are undergoing necessary procedures to facilitate their inclusion in the Enhanced Comprehensive Local Integration Program (E-CLIP).